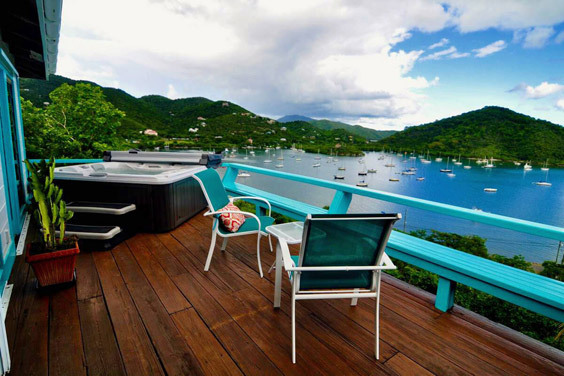 As most past and potential visitors to our island know St. John was hit by a devastating hurricane this past September. All of Calabash Cottages’ homes were extremely fortunate. We received very little damage, which has since been repaired. The island will show the effects of the storm for years to come, but we have worked very hard on our recovery. We are pleased to say that we have reopened and are welcoming guests again! Calabash Cottages offers charming and private cottages and villas in quiet secluded locations. Our main focus is to provide an assortment of options for couples in a tranquil setting. 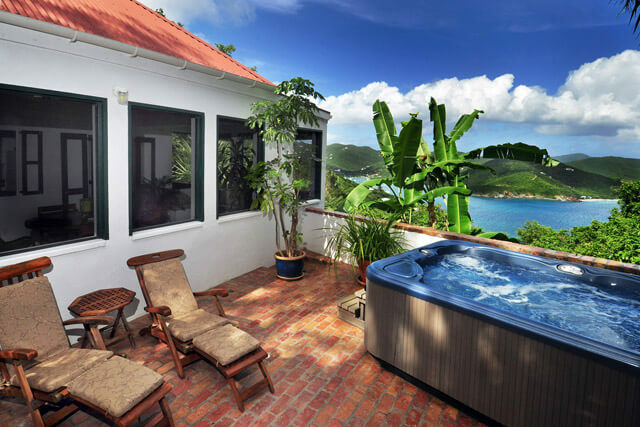 Our homes on St. John each accommodate two people but we do have options for larger groups. 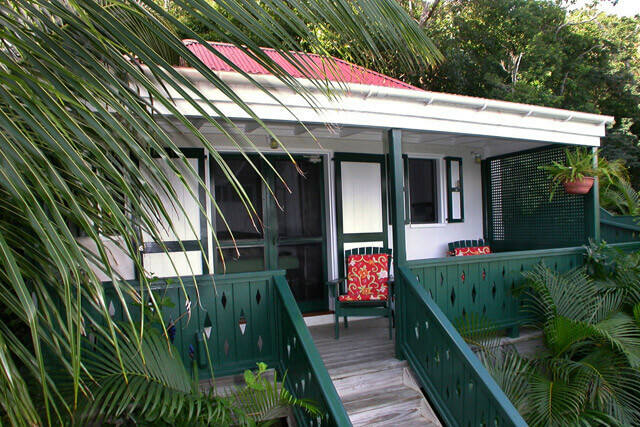 Windwardside Main House and Guest Cottage can be rented together to accommodate 4 persons in two bedrooms. When rented separately the homes do not share any facilities other than a parking area. Sago Cottage is about 1/4 mile distant from Windwardside. 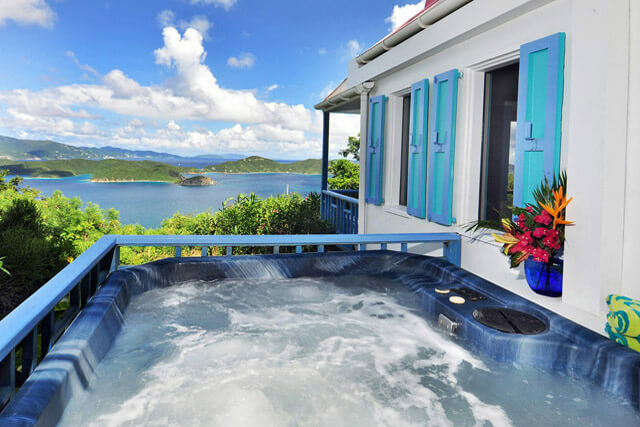 Our St. John homes each feature a beautiful ocean view and a private hot tub. 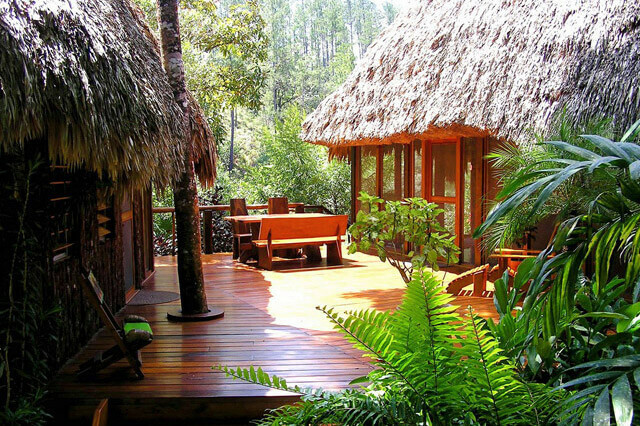 Our villa in Belize is located along a pristine river on 14 acres of land. It is a one bedroom home but we can add an additional bed. It is an extremely isolated home but services and a restaurant are available at the adjacent lodge. All of our homes are perfect choices for honeymoon guests. Beautifully furnished one bedroom home. Detached bedroom is located across the courtyard from living area. Tucked away on a lush hillside. Lovely cottage with a beautiful view and private hot tub. Delightful honeymoon cottage in a very peaceful setting. Quaint, charming and romantic. The perfect cottage for a relaxing getaway for two. Captivating view and wonderful breezes throughout the cottage and from the covered porch. River front villa on 14 acres with all services available at neighboring lodge. On the corner of two ecosystems so you can enjoy pine forest as well as jungle right outside of your door. Accommodates two people but a second bed can be provided. Also, additional accommodations are available at adjacent lodge. Sign up for our mailing list and receive updates, notices of special offers and last minute specials, and more!